A blast from the past here, back to 2007 and those blissful pre-school days when we were free to travel just when we pleased. 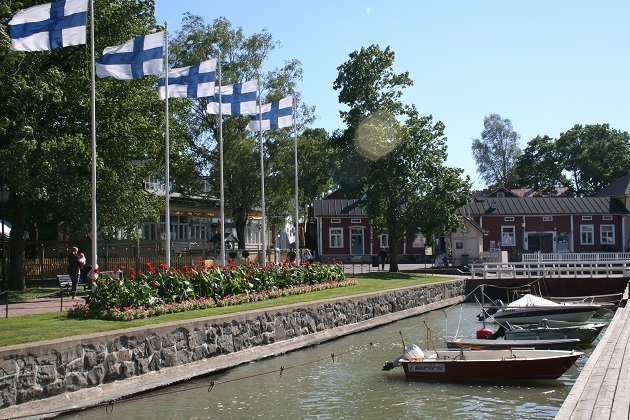 We took a trip to Finland in June, timed to have midsummer in Helsinki but before that squeezed in four days in Naantali. This is a holiday resort on the southwest coast and we all fell completely in love with the beautiful little town. It was the perfect place to chill out, a real haven of tranquility with its stunning harbour, quaint old town and a host of great bars and restaurants. Musician friends of ours had visited for the Naantali Music Festival, brought their young family along and were enchanted with this place. Loving the sound of it we decided to check it out for ourselves and were not disappointed. We flew to Helsinki, picked up a hire car and had a very easy 180 km journey to Naantali along clearly sign-posted roads. Choice of accommodation was not a problem – lots of self-catering apartments and cottages and even a luxury spa hotel. Son was then possibly the pickiest three year old eater in the world so an apartment was our preferred option. Eating out in the evenings but feeding him back at base first became the norm for us in those days. 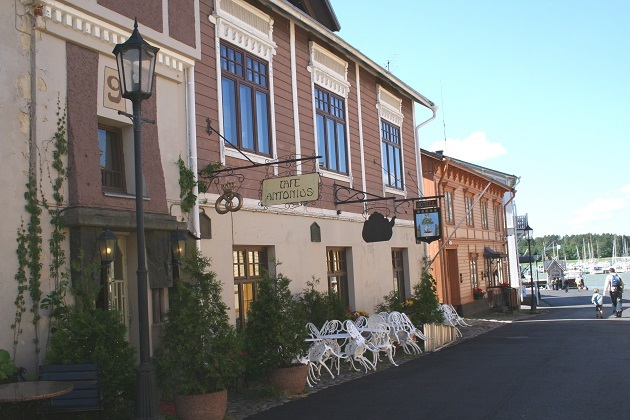 A bit of pre-trip research turned up the Apartment Masen, slap bang in the middle of the picturesque old town area of Naantali. It was above a little art gallery and just a stone’s throw from the marina and all the bars and restaurants. I loved it. A great find plus the owners were exceptionally helpful and very accommodating. It is still available for rental, a quick trawl of the internet recently and I found the website, a little different from my pictures with a few up dates but it still looks gorgeous and I would definitely recommend it. 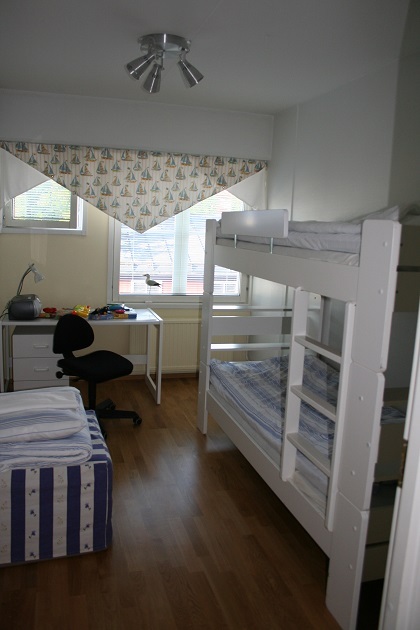 The whole place was airy and bright, we had two spacious bedrooms – Son was mighty excited to discover bunk beds in one of them. Our evenings relaxing in the open-plan living area were wonderful and that kitchen, although small was perfectly formed with everything we needed. Just off the bathroom was a sauna – another fun novelty for us but I have to admit we rarely used it. A big box of toys and games in the second bedroom produced more whoops of delight from Son. There was also a child’s fold up bed and bedding, a travel cot and a sofa bed. The bookshelves were stacked with English novels and as if that wasn’t enough, cycling helmets and bikes were provided. This was a home from home for sure. A covered parking space at the back was the icing on a very nice cake and much appreciated as parking on the main street was not permitted. We spent our time just strolling, exploring and relaxing in this old fishing village. The painted wooden houses huddle around a waterside church and it is picture postcard perfect. No surprise that the summer residence of the Finnish President “Kultaranta” is here. 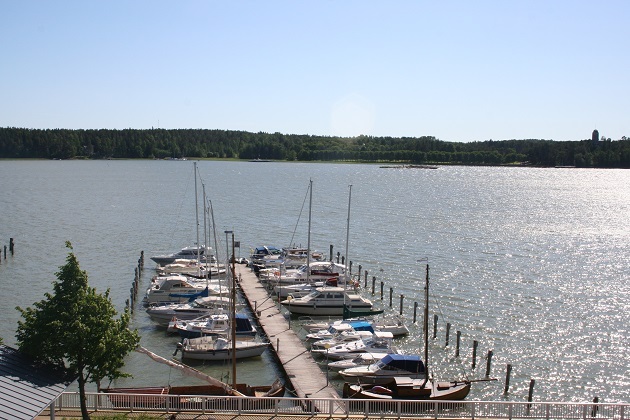 I can totally understand wanting to escape the rigours of politics and come to Naantali. Needless to say as soon as Son spied the little tourist train he was more than a bit excited and wanted to ride it. 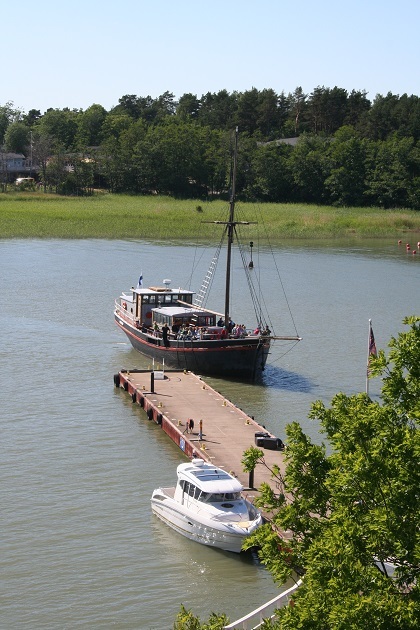 It trundles around the town and stops for fifteen minutes at the Naantali Spa Hotel. A chance to stretch the legs but I loved having a peek around this hotel which has the most beautiful location by the sea. The old Convent Church, built between 1443 and 1462 is very impressive. You can’t miss the baroque belfry anywhere in the town. It is the oldest standing structure in Naantali, we were lucky enough to watch a choir and musicians rehearsing for an evening performance during our visit. I loved the interior – plain, white walls with long wooden pews and a lovely light and airy feel. We loved strolling around the old town with its narrow streets, quaint shops and art galleries. The harbour was our top spot for evening strolling, watching the boats bobbing on the water and choosing which open-air bar or restaurant for dinner was no hardship. 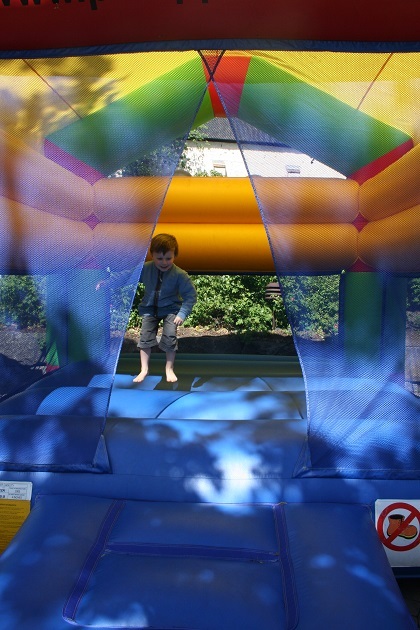 One evening we picked a beer garden with scrumptious pizzas but more importantly a bouncy castle. Son bounced while we dined and sipped our drinks. 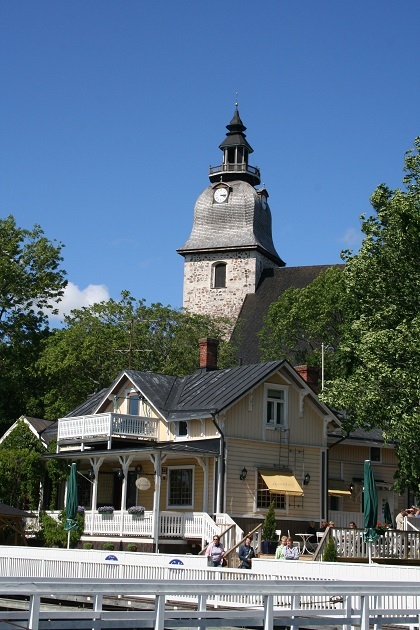 Another time we ate in Uusi Kilta, a gorgeous place with stunning views of the harbour. We feasted on reindeer – very delicious but Son was just a wee bit dismayed by that. All the restaurants seemed to serve similar types of food, of the two we tried both were top notch. 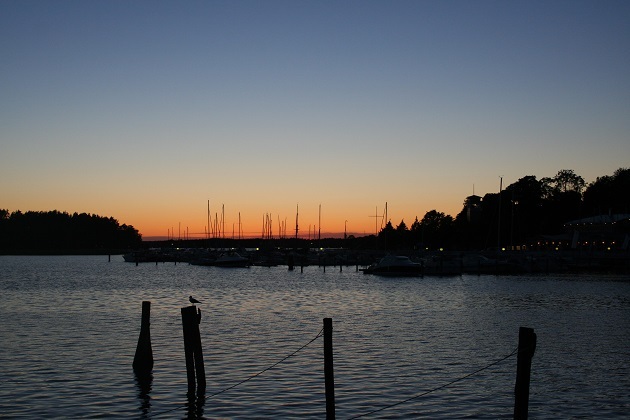 A very special part of this holiday was the midnight sun – during our time in Naantali it never got really dark and the sun didn’t set until very late. A strange feeling but so lovely and the novelty never wore off. Heading out at 11 pm and seeing the sun shining high in the sky was something very special. The last two photos were taken late in the evening, one in a playground at around 11 pm and the very last one was at midnight. A wonderful experience, convincing Son to go to bed though, that was another story…. It was the perfect place for a few days relaxing and chilling! Looks lovely. Did you need the car after you arrived? We had 4 days in total, 3 of them we didn’t use the car but we did drive to Turku one day. It’s only 15 minutes away though and I think there was a bus so we didn’t really need the car here. Joy, loved seeing the photos of your son at three years, time moves way too fast. 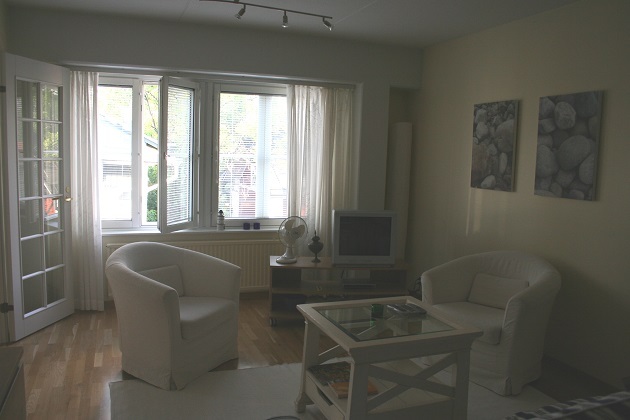 This looks like a perfect get-away…it reminds me of Visby, Sweden which we loved. We visited Helsinki and loved how beautiful it was. I always enjoy traveling with you…Happy Weekend! I always planned to try and recapture our past trips but never seem to get around to it!! 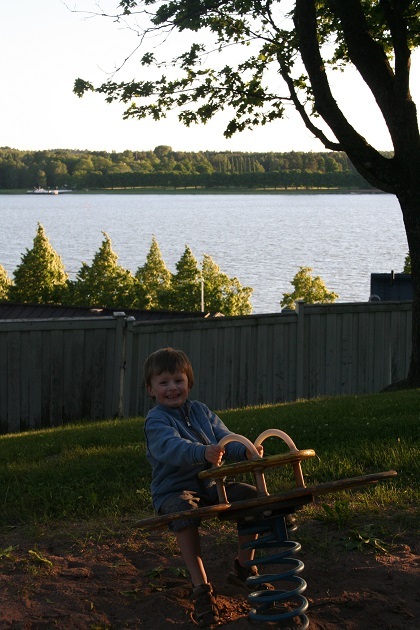 It was nice to revisit Naantali and look at those old pictures again – like you say Pam, time goes too fast…. Would love to go to Sweden – never been there but we loved Helsinki too. Hope your weekend is a wonderful one too. 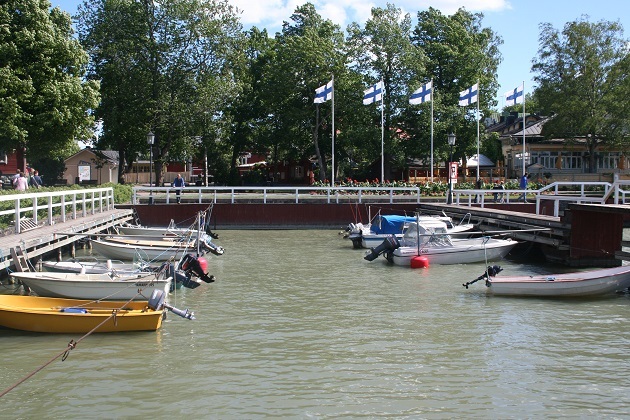 We’ve not visited here yet but have been to Turku several times, it looks idyllic and as you probably guess we are crazy about lovely Finland! Hope you have a good weekend! It is a gorgeous little town, very quiet but so pretty – I think you’d love it! Hope your weekend is a lovely one too – I think we’re in for some sunshine!! We’ve not thought about visiting Finland, but maybe we should put it on our to do list along with longer stays in other Scandinavian countries. We’ve been to Finland three or four times now – both in summer and winter and always had a wonderful time. The weather was gorgeous for most of the time we were there. What a completely charming place. It also strikes me how neat and tidy everything is. Your holiday home looks perfect too, really practical but very homely too. 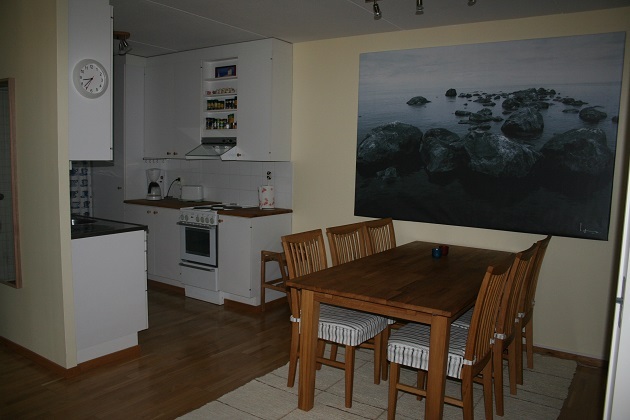 It was the most lovely place to stay – like you say Laura really homely and all the little touches just made it extra special and Naantali was just gorgeous. Oh wow I’d love to see the sun high in the sky at 11! Isn’t it fun reflecting back on trips from years ago and how things were so much different when the kids were wee ones ?! We’d never heard of it either Rosemary until our friends mentioned they had been and it made us curious. We loved it, such a gorgeous little place and such a lovely time there, the apartment was a real find and was just perfect for us too. Midsummer was wonderful time to visit despite the negotiations to go to bed – they were very drawn out. He seemed to have more energy than we did!! We have lovely sunshine here this weekend, spring has arrived even if only for a few days. Hope your weekend is lovely too. 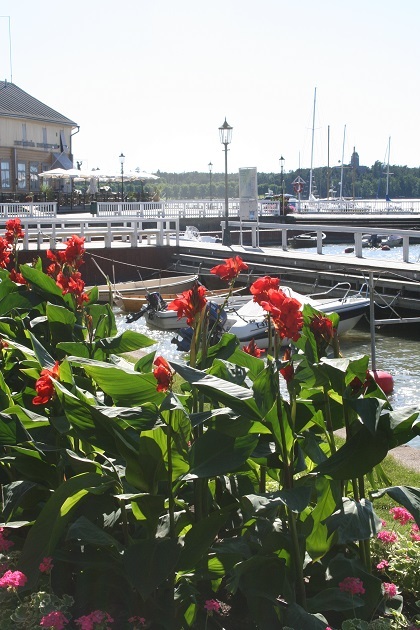 Naantali is beautiful summer town. We love it. Thank You for this post. I would really love to go back there again, we had the most perfect time. Wow, what a lovely quaint place… thanks for the flashback to 2007, Joy. I hope you’ll post more about Finland; it’s a country I know very little about, so I’m curious to learn more. 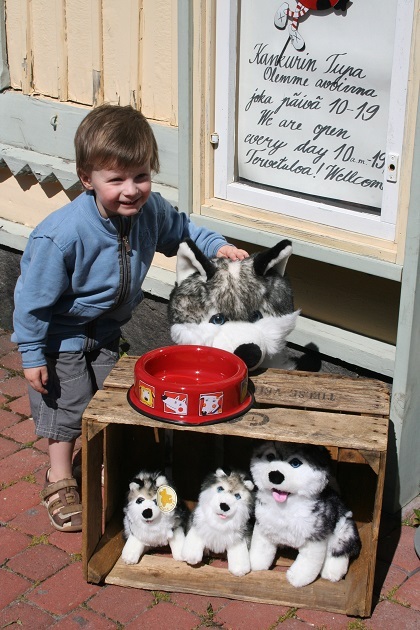 It was quite nice to revisit Naantali again Reggie, I’d always planned to try and put as many of our past travels into the blog as possible but I just never seem to get around to it!! 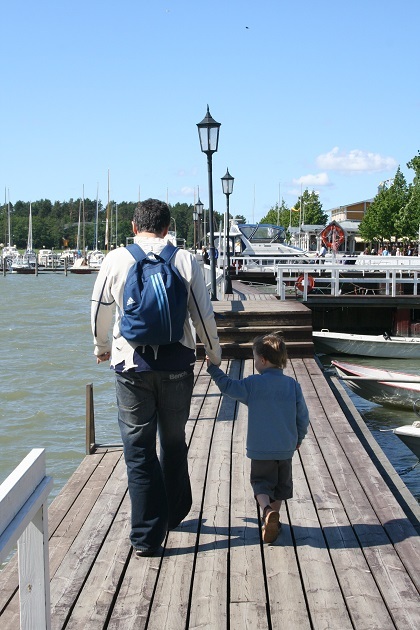 We loved this little corner of Finland and spent the second part of this holiday in Helsinki – also loved that. 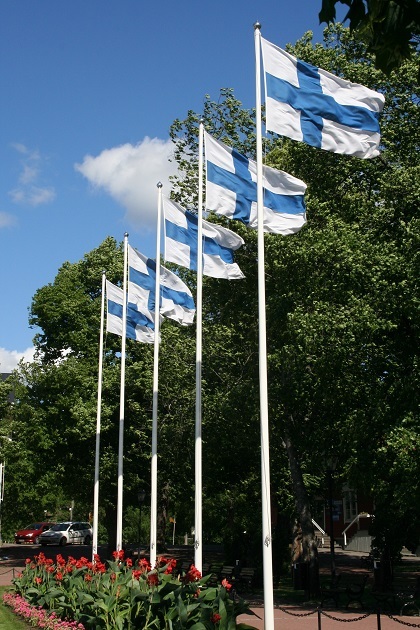 Finland is a wonderful place to visit – I hope we can go back sometime! It looks particularly fresh and organised. How civilised. It was a gorgeous place – a real find. Awe! Look how cute your little guy was! So sweet! Hard to believe they were ever that small, isn’t it! Lovely sunset! I can barely remember him like that – so true Hilary, the time zooms past doesn’t it, before you know it they’re taller than you!! The sunsets were special here, especially since it was midnight! Wow! How did I miss that?! Me too George, how is it that time flashes past so quickly. Now he is taller than me!! 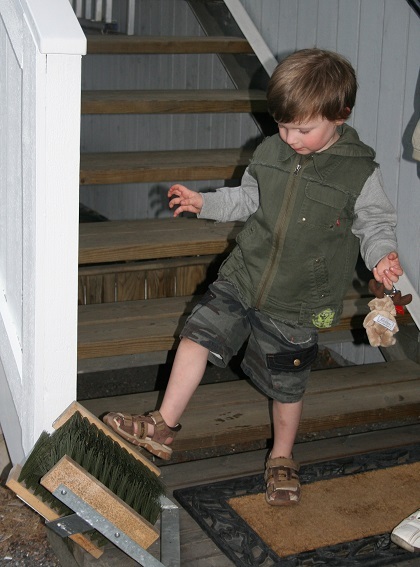 That’s exactly what I’ve been kicki g myself for now when dauggter is about to start school: it really makes travelling so much more inflexible! Absolutely – school holiday travelling is manageable but you realise how much flexibility you lose once they start school. The narration is a cherry on the cake..!! Thank you – it is a beautiful little town and perfect to relax for a few days. A place to go on a vacation for. 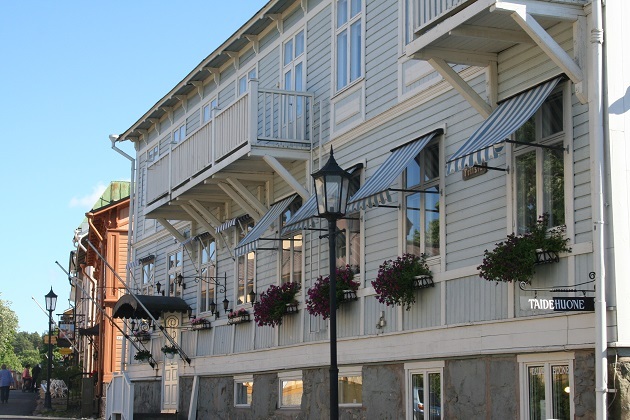 Naantali is so picturesque, I love visiting and having a drink on the terraces! We loved it – so beautiful and peaceful, being there around midsummer was extra special and I would love to go back.